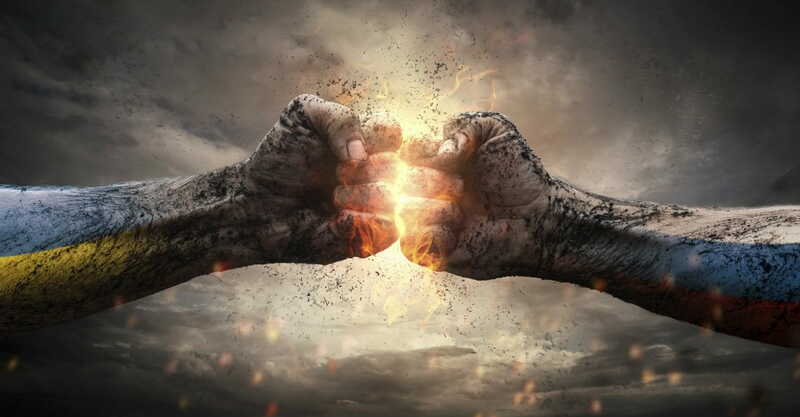 In the last Langstaff Letter ‘Chaos and Confusion,’ I made the point that behind all of the political events that are happening in Washington DC and America, there is a spiritual battle taking place that involves the direction and culture of this nation. This can be seen in many aspects of life in our nation today, and it is a far-reaching battle that will impact our nation for generations to come. Instead of setting out a long list, I am choosing to look at one issue today that demonstrates the spiritual battle that is underway and growing more intense: Abortion. Just recently, New York Governor Andrew Cuomo signed into law the most radical pro-abortion bill our country has seen in a very long time (Breakpoint.com). “The New York Senate passed a radical pro-abortion bill Tuesday that would allow unborn babies to be aborted for basically any reason up to birth” (Lifenews.com). “Let me break this down for you. Let’s say a woman is eight months pregnant and goes into labor. Her baby is born. Then, for whatever reason, she and the father decide that they don’t want the baby. Maybe it’s the gender or the hair color…maybe they realize suddenly that they don’t want a baby. So, they decide to terminate the baby. They have the doctor take him in a back room and kill him. In this scenario, the mother, father, and doctor would all be arrested for murder. And rightly so. However, in New York, if that same baby is one month older, but still in the womb, he is fair game. Those same parents can contract with the hitman…I mean, doctor…to murder the child, and they are celebrated in New York for exercising their ‘reproductive rights'”(tikkun.tv). “Governor Andrew Cuomo declared this ‘a historic victory for New Yorkers and for our progressive values.’ However, Cardinal Timothy Dolan and other New York Bishops wrote, ‘Our beloved state has become a more dangerous one for women and their unborn babies. Our governor and legislative leaders hail this new abortion law as progress. This is not progress. Progress will be achieved when our laws and our culture once again value and respect each unrepeatable gift of human life, from the first moment of creation to natural death'” (tikkun.tv). “This “Reproductive Health Act,” as it is called, removes abortion and, get this, the murder of a pregnant woman’s baby, from the state’s criminal code. It also allows any doctor, nurse practitioner, or even midwife to perform an abortion all the way up to the moment of birth, provided the mother’s “life or health” is at risk” (Breakpoint.com). On the basis of the health of the mother can include just about anything, physical, emotional, psychological, etc. In the 1990s, pro-choice advocates talked about making abortion safe, legal and rare and now they are celebrating abortion as a positive experience. Prominent evangelical academic professor Robert P George had this to say on Facebook, “Until a few minutes ago, I had never felt physically ill as a result of watching something on television. But the video footage of New York legislators applauding and cheering the monstrous late-term abortion bill they passed yesterday on the anniversary of Roe v. Wade literally nauseated me. The sheer inhumanity of applauding an act licensing and facilitating the killing of six, seven, eight, even nine-month babies–babies who could be delivered and survive; babies with fully formed faces, eyelashes, fingernails; babies who hear and are familiar with their mother’s voice–turned my stomach. What kind of people are we? How can so many be utterly blind to such gross and manifest evil? These people were cheering. They were *cheering*. Where did this fanatical commitment to ensuring that the lives of children in the womb count for nothing–indeed less than nothing–come from? How did this contempt for human life insinuate itself into people’s hearts” (Facebook.com 1/23/19)? According to the latest Marist poll released in January 2019, seventy-five percent of Americans believe that abortion should be limited to within the first three months of pregnancy (cruxnow.com). Years ago I watched a video of abortions taking place. It was graphic. I believe that if the American people actually witnessed a video such as that one, they would overwhelmingly oppose abortion, if not rule it out altogether. Scott Klusendorf of Life Training Institute made the case against abortion when he stated, “it is wrong to intentionally kill innocent human beings. Abortion intentionally kills an innocent human being. Therefore, abortion is wrong” (Focusonthefamily.org). In the midst of the abortion debate, we must not lose our compassion for those people who have made a choice to have an abortion. We do not know their circumstances. They may have been pressured into doing it by others, including their husband, a boyfriend or even their parents. In every church, there are probably women who have had an abortion. We should be careful not to condemn them, but instead, love them and point them to the Lord who can bring forgiveness and healing. I remember once when I was speaking at a pro-life demonstration outside an abortion clinic. One of the women from our church who was with me shared about her abortion and the healing that she had found in Jesus. We can be grateful to organizations like Focus on the Family, that have worked to make ultrasounds available to those pregnant women who are considering an abortion so that they can see the baby that they are carrying inside them. Also, we can be grateful to organizations that provide practical support to women that are seeking to carry the baby to full term. Finally, I am grateful to the Catholic Church, that was on the front line of this battle long before many protestants got involved. “We are in the First Stages of America’s Second Revolutionary War” was the title of a recent article by Rick Joyner of Morningstar Ministries. It started with a dream he had about various attacks coming upon our country and how he had received a message; a sentence written in brilliant glowing golden letters, “The Second American Revolutionary/Civil War is inevitable, it is right, and it will be successful.” He went on to declare we are heading for a civil war stating, “We had already crossed that line, and it is now upon us, so we must change our strategy from trying to avoid it to winning it” (Charisma 1/26/19). So, let us persevere in prayer so that the battle will be won and our nation will fulfill its calling to be a city set on a hill. WOW, Pastor Alan! What a sobering article — and so beautifully written. Thank you!! Even if it does make me sick too. David was a part of the Catholic community when he was a student at Princeton, so I know very well who Robert George is. Indeed I have met him and heard him speak at Princeton. He is a powerful mouthpiece of God. Thank you for having the courage to write about this. Intercessory prayer has never been more needed than it is these days. God help us, and God bless you!! Thank you Alan for addressing this situation. I believe the horror and insanity of what New York has done in allowing and even celebrating late term abortions is finally shocking the Christian community, waking it to action. It is certainly a time for all true believers in Jesus Christ to stand up fearlessly with reckless abandonment on behalf of those precious, defenceless, little people in the womb. There can be no more passivity on this scourge in our nation. God has given us a pro-life president to pave the way with his supreme court justice appointees and his executive orders. If we do not seriously pray and take action as directed by the Holy Spirit, the blood of those innocent lives will be on our hands.